Join Julia Paddison on an extraordinary journey inward; an opportunity to develop a deeper relationship with yourself through the practice of yoga, meditation, and mindfulness. We’ll spend eight days, seven nights in the beautiful country of Panama at Istmo Yoga and Adventure Retreat. Each day we'll practice yoga and meditation together, and thrive on fresh, healthy, locally sourced vegetarian meals. Your belly will be feeling full, your heart feeling happy, your body feeling blissful, and your mind feeling recharged. This combination of yoga, meditation, sunshine, good food, and great company guarantees you the most incredible week in paradise! 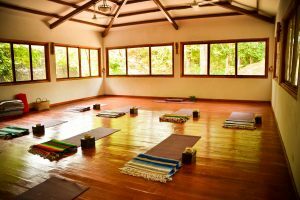 Istmo Yoga and Adventure Retreat is a family-run, full-service yoga retreat center and boutique hotel in Playa Grande, San Carlos, only 1.25 hours from Panama City and ten minutes from the town of Coronado. 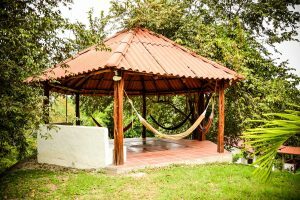 The property is situated on four acres of land, including an acre of pristine rainforest, and is a short five minute walk to the tranquil Playa Grande beach. During your week away in paradise, we want you to escape the stress of day-to-day life and allow each day to be as care-free and relaxing as possible. Istmo is only a short walk to the beach which means you can enjoy your day in the sun, lounging on the sand, or swimming in the Pacific Ocean. Or maybe you'd prefer to catch some shade while relaxing in a hammock with your favorite book. Don't forget: naps are an important part of any vacation! For the adventure seeker, there are endless amounts of activities to keep you busy during the day, with excursion options, including surfing, use of stand-up paddle boards, cooking classes, massages, hikes, latin dance classes, day trips to local villages, and many more! If you don't have a friend to travel with, no problem! There are many wonderful people who are traveling alone on this trip. Please come along, enjoy, and make new friends. Let's keep it real, my friends: if your idea of a great vacation involves day drinking and/or late night partying, this retreat is probably not the best fit for you. However, if you are looking for an opportunity to fully immerse yourself into your yoga practice, potentially deepen your yoga practice, practice meditation and mindfulness, dig a little deeper within yourself, and overall, deepen the relationship you have with yourself, this is the exact experience you have been looking for! Students are encouraged to take their yoga practice, health, and safety seriously, by limiting or not partaking in alcohol (or other substance) consumption throughout the week, as a way to ensure that this retreat is indeed an extraordinary journey inward for all participants. $500 non-refundable deposit is required to reserve your spot. Deposit will be applied to the total cost of the retreat. Full payment is due no later than November 30, 2018. For reservations made after November 30, 2018, full payment is expected upfront to reserve your spot. Each room is equipped with air conditioning, pillow top mattresses and luxury linens, private baths, balconies with panoramic views, and aromatherapy diffusers with a selection of DoTerra essential oils. Note: Travel insurance is not required, but is highly recommended. >> Are you ready to embark on this amazing adventure? Please email yoga@juliapaddison.com to reserve your spot or to request more information.